So, now that the profoundly intense 2019 Imo guber election is over, let’s look at some things that should or shouldn’t have happened. We now know that Ikedi Ohakim has graciously congratulated Emeka Ihedioha. It was not only in mainstream news; it was on his Facebook page. So, it’s no fake news, but that’s not so important. What’s important is that such gesture makes Ohakim a statesman, if not a great sportsman; and the timing was great. 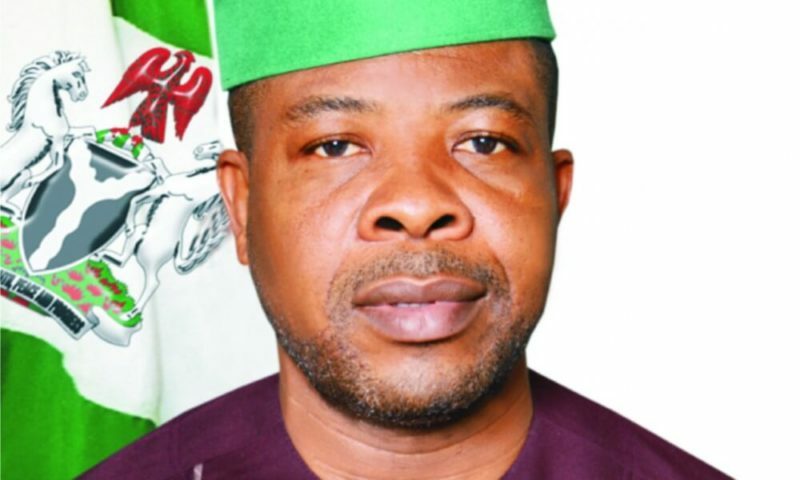 But of greater significance is that it furthers Ihedioha’s legitimacy and assures him that – as he hankers down to govern – he doesn’t have to worry about having an adversary in a cerebral ex-governor that still packs a political punch. It’s trouble enough that Senator Anyanwu is still contending with Ihedioha, and Uche Nwosu is already heading to the Tribunal to upturn the result on constitutional grounds. I hear that APGA is also waxing to sue. Talking of Uche Nwosu’s burgeoning constitutional challenge, we know that it’s not an afterthought because immediately after the final numbers gave Ihedioha the super-majority, Nwosu had issued a statement asserting that Ihedioha fell short of the constitutional requirement of twenty-five percent of the votes cast in two-thirds of the local government areas of the State. That was before the Returning Officer finally returned to legally declare Ihedioha the winner. But before the Returning Officer came back on air, much of common folks in Imo had whipped out their calculators, crunching numbers to see whether Ihedioha made the said twenty-five percent or not. I don’t know how far they got but I didn’t see anything public, anything in terms of numbers that indicated Ihedioha did not. That’s not saying that the jury is done on this, as we shall surely see some details in the coming days. But then and again, how could anybody think that the Returning Officer could’ve gotten his numbers wrong? The man is supposed to be a Professor of Mathematics and, reportedly a ranking member of every uppity Mathematical Society around town. Presumably, you can’t crunch better numbers than folks like that. And when a Collation Officer could not defend the humongous figures he unilaterally awarded to a particular candidate, the Returning Officer did not hesitate to call the cops on him. So much for a clumsy doctoring that got busted on national television. Yet, the universal laws of mathematics seem to vary when it comes to crunching the percentiles of election scores in Nigeria. Refer to Awolowo versus Shagari. Talking of numbers and their dimensions, some of them that emerged from this very election set new records in vote-stealing, outright awarding of votes and rank zeroing of votes. Pray, how come Ike C. Ibe score a miserable 144 votes across entire Imo State? Come on, the dude is from Obowo – populous, provincial and devoted to boot. Plus, when he ran with Iheanacho in the last election, they polled a personal best of over Thirty Thousand votes. Is it plausible that all those votes but 144 became a mirage in 2019? Not a chance, even in hell. And in case you forgot, Ike Ibe is that very hard-working Imo son who ramped up quantum medical freebies from America to kit out government hospitals in Imo during the Achike Udenwa administration. Surely, that must have earned him lots of respect and thousands of standby voters beyond his Obowo stronghold. Besides, he boasted a personal structure of thousands of members, a political party with members, relatives, friends and whatnot. He also had agents in all the 3,523 polling units and 305 electoral wards in Imo. And this: he is a great gubernatorial material by any objective standards, and it’s on record that he campaigned hard and long at the grassroots. So, I ask again, how come he got s miserly 144 votes? The answer is easy: Someone (or someone’s) stole his votes and padded their own with them. But whodunnit? Who stood to gain? Your guess is as good as mine. But suffice it to say that stealing those votes so wholesale puts a blight on the entire process; and as in this case, it’s so brazen as will surely roil a Tribunal, should anybody choose to drag it. But let’s leave Ike Ibe for a moment and go back to Ikedi Ohakim. This one really blew my mind and it should blow yours too. A whole Ikedi, a charismatic ex-governor with the swag and the common touch got some odd Six Thousand votes in all of Imo State? This is so egregious that it presents the best case yet for doing away with the Ward and LGA Collation regime, where such disgraceful things happen. And they happen by force and by conscienceless corruption. They even had the guile to give Ohakim ‘zero vote’ in 18 local government areas, which had me gaping when the results were being announced. That ain’t right, even by the customary standards of rigging elections in contemporary Nigeria. Something drastic and abominable happened and it was a heist, a grand larceny and most probably a conspiracy of sorts. And it didn’t make any sense. There are things that defy basic mathematical logics and the cannons of ordinary decency. And this is one of them. Ohakim is a chip off the old PDP, a great brand then, far better than now. So, when he left it to APGA, a multitude would have left with him. Fact is: he didn’t leave alone, he left with legions. Then, after the primaries debacle in APGA, he pulled out and went to Accord. Again, a good number would’ve followed him. Some accounts said that it was a stampede. And altogether, they stood by him and went into this election as a committed tag team to the very end. He made lots of appointments when he was governor, he spread a lot largesse around, and his record on ‘dividends of democracy’ was stellar, state-wide and verifiable. He employed a whopping ten thousand youths, plus more. He also had his party faithful and apparatchiks, his well-organized structure, his 3,523 polling unit agents, his 305 ward agents, his tens of thousands of admirers, and a significant chunk of the electorate and elites that bought into his ‘only one term’ message and experience on the job. And he campaigned well; and according to credible accounts (from polling units), he was winning in Ideato North, Isiala Mbano, etc. Still, they robbed him of all these and to the point of a blowout, a zeroing in 18 LGAs. You see, there are so many ways people can’t make heaven and this is probably one of them. Heaven or hell, such terrible things do live in infamy and follow Collation Officers and those they numerically enabled to their graves. And beyond the grave, how can their souls defend such torrid sin with St. Peter at the Pearly Gate? For now, it’s cold comfort, though, that Ohakim has tarried on going to the Tribunal. Ihedioha should therefore find a way to keep it that way because, regardless of who stole Ohakim’s votes or gained therefrom, it’s the victorious candidate that ultimately suffers the legal consequences. The truth lurks and it’s haunting. All the candidates, including Ohakim and those that stole his votes surely arranged to preserve admissible records of their actual polling unit scores. So, beyond the spectacle issuing from the Collation centers, the truth lies within those polling unit scores. It’s a dark secret that usually comes to light through vigorous litigation. The standards were set in Oshiomhole versus Osunbor. In the final analysis, the import of this essay is not to cast a pall on Ihedioha’s victory or to point accusing fingers at him or any other candidate. There’s yet no actionable evidence demonstrating that Ihedioha or even any of the other candidates pointedly instructed their collation agents to ‘go in there and steal votes’. Still, the truth remains constant, and that is: the numbers that brought this election to its tumultuous close did not reflect the actual numbers scored at the polling units. And sadly, the polling unit (not the Collation centers) is where the popular will of the people of Imo State is supposed to be determined. -Aloy Ejimakor is a lawyer and is based in Abuja.